Whether you want to revel in the snow, or avoid it altogether, Travel Tacoma has some advice on how to make the most of wintery weather. 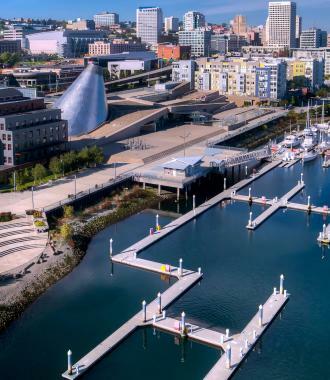 With six world-class museums packed into Tacoma&apos;s Museum District, you can find more than a day or two of history, art, collector cars and maritime history in one condensed area. At Tacoma’s Museum of Glass&apos;s hot shop, you can watch live as glass artists ply their trade inside the museum’s functioning hot shop’s kilns. 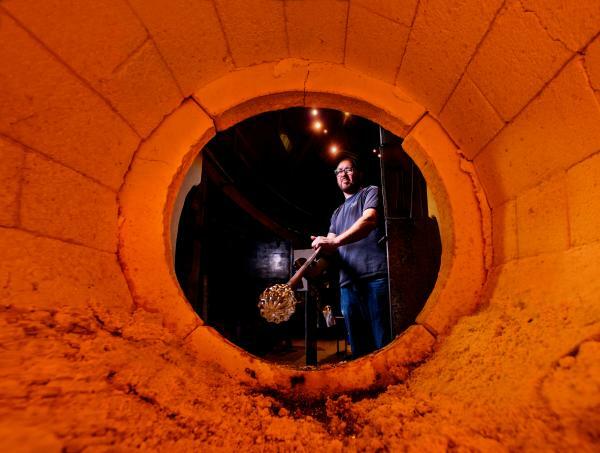 If there’s a better way to stay warm than in a room with a 2,000-degree-Fahrenheit glassblowing kiln, we haven’t found it yet. Don&apos;t want to drive? The Tacoma Link Light Rail is free to ride and travels between several of the museums. Insider tip: By a Tacoma Museum Pass and explore several museums. It&apos;s valid for a year from the time of purchase. Go the extra mile, and keep off those slushy roads by parking your car and staying at a downtown Tacoma hotel. Fortunately, we’ve researched and reviewed the best coffee shops around Tacoma and the South Puget Sound, including Puyallup, Lakewood, Sumner and Fife. Most of these caffeine refueling stations also have seasonal offerings (gingerbread lattes, eggnog creamer, etc.) to make it feel like you’re not trapped by the weather, but rather just enjoying some of the finer things that you can only get during the holiday season. 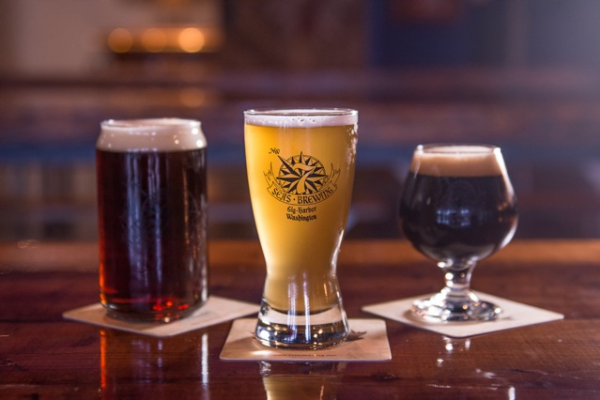 Summer&apos;s lagers and pilsners have mostly given way to winter&apos;s porters, stouts and winter ales, which is a good reason to find a cozy taproom, pull up a barstool and sample the season. Recommendations on where you can find your perfect pint? We&apos;ve got &apos;em. Insider tip: Use this opportunity to collect some stamps from the South Sound Craft Crawl. You can even use the Tacoma Link Light Rail o travel between seven participating breweries and taphouses. The networks of parks throughout Tacoma and Pierce County are prime examples of the Pacific Northwest&apos;s natural abundance in any weather. Put on some warm weather gear, grab a cup of coffee (see above) and head out to any local park to enjoy the rare spectacle wrapped in a blanket of white. Bring a sled, or equipment to build a snowman. If you&apos;re lucky, you might even get swept up in a pitched snowball battle. Find a Pierce County park here, or one of Metro Parks Tacoma parks here. The biggest ski area in Washington State is calling you, and when the snow is falling in the lowlands, you can be sure it&apos;s dumping fresh powder on the mountain. Make the most of it by staying overnight at Crystal Mountain Hotel or Alta Crystal Resort, ensuring you&apos;ll be among the first up the mountain in the morning and the last off the slopes in the evening. Here are some other places to find your overnight winter wonderland at Mount Rainier. It&apos;s easier than it sounds! Just get yourself and your family to the Jackson Visitor Center at Paradise, and the National Park Service will do the rest. 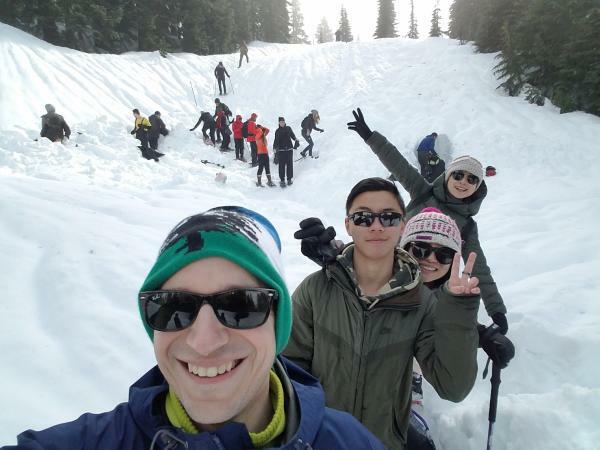 NPS rangers lead a two-mile, family-and-kid-friendly snowshoe tour on weekends and holidays throughout the winter (always check here for changes in the status, based on weather or snowpack) and they even provide the snowshoes. The 25 spaces on the tour are offered on a first-come-first-served basis, so arrive early and dress for the weather! Find more information here.